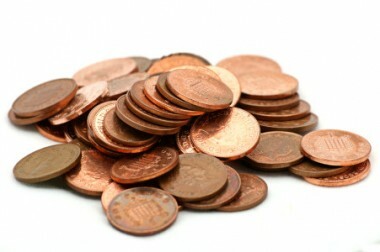 Does Apple’s Passbook App Make Cents? In many ways, the iPhone is already a wallet. I scan my phone to pay for a latte at Starbucks, I snap pictures of checks to make bank deposits. Once, I used it to buy a few screws at Home Depot without ever pulling out my credit card. But this week, Apple officially announced its first steps into the payments space with Passbook, an application that electronically stores loyalty cards, gift cards, boarding passes, electronic movie tickets, coupons and more on the phone. 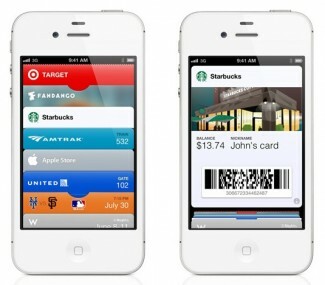 Passbook comes out this fall, and Apple hasn’t yet said if it will accept payments or store any credit card information. But based on several conversations I’ve had over the past week, nearly everyone expects that is where Apple is headed. The truth, however, is that accepting payments is a lot trickier than it sounds. Transferring money responsibly between parties is extremely sensitive. Even for Apple, it could prove difficult to come up with a game changer that would be as elegant as they’d like it to be and make everyone happy. But, for now, Apple’s first step is Passbook. The point of the application is to make it easier to keep track of gift cards, coupons, passes and tickets and other things that get lost in your wallet or on your phone. Using Passbook, iPhone and iPod touch owners will be able to call up electronic bar codes on the screen to check in for a flight, get into a movie or redeem a coupon. They will also be able to see when coupons expire, pinpoint where their concert seats are or check the balance of a coffee loyalty card. The app uses location-based services too, so when a consumer is close to a movie theater or store, a ticket or relevant coupon will appear on the phone’s lock screen. Several partners have already signed up for the program, including Target, Fandango, Starbucks, Amtrak, United Airlines and the W Hotel. As seamless as it sounds, both retailers and consumers will have to do some juggling to make it work. Target and Starbucks, for example, have already upgraded their hardware at the point of sale to be able to read a bar code from the phone’s screen. And consumers will have to make a conscious effort to save their coupons and bar codes in the application, much like when they add an event to a calendar. If Apple chooses to build more functionality into the app, it does have a few things going for it. For instance, on Monday Apple said it has about 400 million iTunes accounts — meaning that the company has that many credit cards on file. To put that number in perspective, PayPal has about 100 million active accounts — a quarter of Apple’s reach. Another benefit is that Apple owns the phone’s hardware and operating system, so if it needed to tweak something, such as integrating near field communication, it could easily do that in the next generation. NFC is often considered the linchpin to mobile payments because it would enable people to tap to pay at the register, without having to show a barcode. On the other hand, turning Passbook into a payments network will not be easy. The simplest route would be to enable users to charge everyday purchases like groceries and gas to their account with a tap of their NFC-enabled phone. The approach would be similar to PayPal’s business, which allows people to check out online using the credit card it has on file. But that’s not the kind of game changer that everyone is looking for from Apple. In our digital lives, today’s consumers want more capabilities, such as being able to make charges to a variety of cards, monitor their account balances, pay bills, make returns and save receipts. Coupons and offers should also be part of the mix, based on a person’s interests. In building an application that does all that, Google has faced several setbacks with its Wallet app, especially when it comes to partnering with the carriers, banks, retailers and handset makers. In particular, NFC has been slow to get off the ground, and carriers — including Verizon, T-Mobile and AT&T — have blocked Google’s Wallet from appearing on Android phones. PayPal has made slightly more progress, but it is still working out the kinks in the system. Currently, the company is focused on signing up lots of retailers so it can learn from real-life experiences, in order to make a big push in 2013. Apple faces these same technology hurdles, and it would have to build a system that addresses the security needs of consumers while also complying with laws in every country in which it operated. The least of its problems may be figuring out a way to make money in payments — or at least not lose money. Right now, Apple charges companies 30 percent each time they sell anything on iTunes. That’s a much larger cut than what they could get away with if they extended it to retailers, who are used to paying around 2 percent. Of that much smaller percentage, Apple would still have to pay the processors, such as Visa and MasterCard. Since Apple clearly intends for the service to become one of its flagship applications — like Siri, FaceTime or Maps — how else might it address the payments business? There are a few more options, based on what already exists in the market. Instead of copying Google or PayPal, Apple could try to compete with Visa and MasterCard. Better yet, it could steal a page from Square’s playbook. The San Francisco company, led by Twitter co-founder Jack Dorsey, has developed a mobile application called “Pay with Square.” The app allows users to pay by giving the clerk their name at the register — no credit card or fancy NFC-equipped phone required. In advance of the payment, consumers would have to store their account information in the app and take a picture of themselves to make identifying them easy. In addition, the store must have an iPad at the counter, so the salesperson can correctly identify people from their pictures. The whole experience is pretty slick — just how Apple likes it. Plus, it could generate additional iPad sales. But there’s a catch. Without a critical mass of retailers on board with the program, consumers would not be able to reliably leave their house without a physical wallet. The problem with not knowing what Apple has in store makes it impossible for companies to gauge whether they should be excited about the possibilities of Passbook, or whether they should be scared. Scvngr’s Seth Priebatsch said that it’s not clear to him, either, but he’s willing to take the risk. 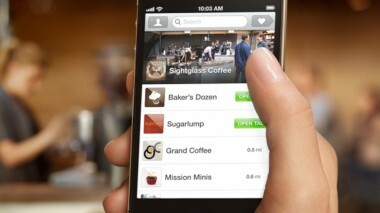 He plans to integrate his company’s LevelUp application into Passbook, which operates similarly to Square. WhaleShark’s SVP of Mobile John Faith also said that his company would consider integrating RetailMeNot — a coupon app it launched this week on the iPhone — into Passbook. “Our value for companies like Apple, Google, PayPal and Bing is a partnership where our coupon content can become a part of similar consumer offerings — making saving while shopping with a mobile phone a more seamless experience,” Faith said. It may be inevitable that Apple enters the payments space, but whether it pulls it off is another thing entirely.